A feather-light gel to infuse and protect the delicate eye area. 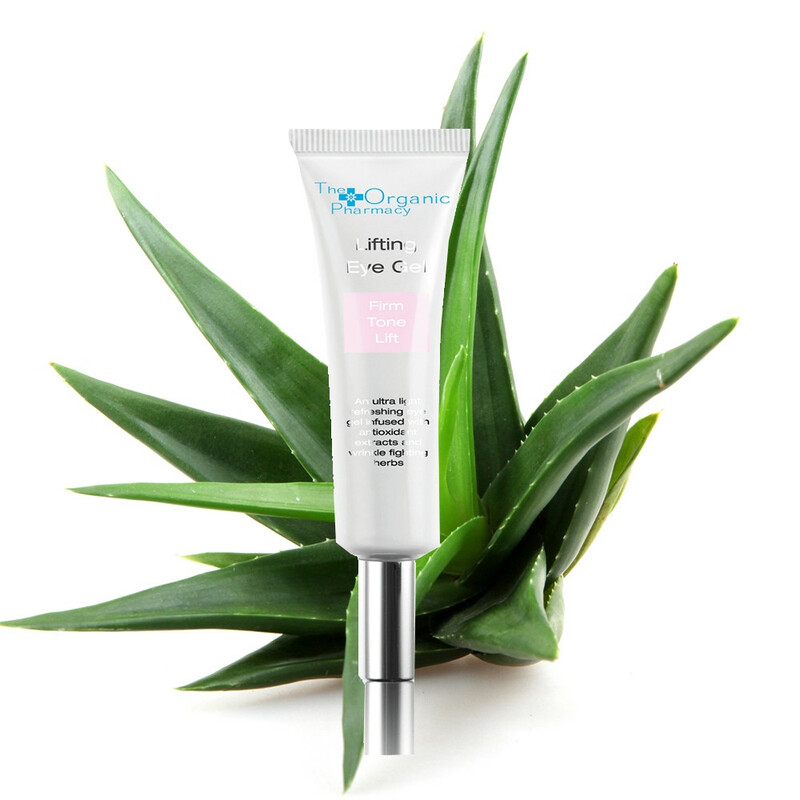 It smoothes the appearance of fine lines ensuring the eye area is refreshed, revitalised and toned. The thin delicate skin around the eyes is particularly sensitive and as such is much more prone to wrinkles caused by dryness. As skin ages following a simple daily skincare routine becomes even more important. You should at least cleanse and moisturise every day and ideally add in a serum to boost the skin’s defences – and of course stay hydrated by drinking plenty of water! The same is to be said for the delicate eye area which needs special creams and gels to treat but not overload the skin. Using an eye gel will help reduce puffiness and dark circles, and help keep those wrinkles at bay! Lifting Eye Gel from The Organic Pharmacy is a feather-light refreshing gel specially formulated to infuse the delicate eye area with Aloe which boosts collagen, Kigelia to firm and tone, Bilberry to reduce puffiness and Tamanu to repair. The essence of Persian Rose refreshes and revitalises even the most tired eyes. This gel is rapidly absorbed which makes it ideal to use just before applying your make-up. Application: Apply around the eyes every morning using the roller ball. to apply in a gentle pressing motion working from the inner corners outwards. Reapply though the day if needed. Tip: Great for maturing skin – but it’s never too early to start protecting your skin. Matching Products: Use alongside The Organic Pharmacy’s Double Rose Rejuvenating Face Cream.